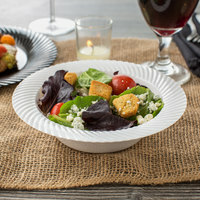 Plastic disposable bowls are a great choice for any party or catered event, including office gatherings, weddings, and school banquets. 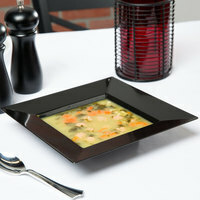 We offer bowls in a variety of classic and fashionable colors, so you're sure to find products to match your decor or color scheme. 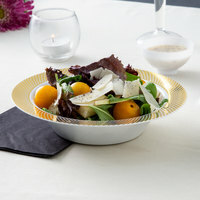 You can also choose from edge styles like etched, scalloped, and wavy, or shapes like oval, round, and square. 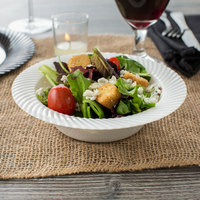 All of these bowls are durable, high-quality, and perfect for serving everything from appetizers and soups to side dishes and desserts. 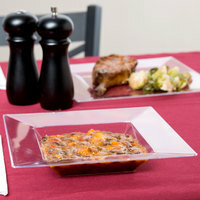 Their disposable construction also makes cleanup during and after a catered event or busy dinner service a breeze. 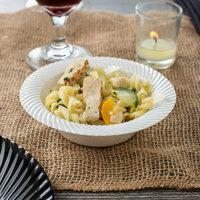 All of these bowls are also recyclable and BPA free. To learn more about the differences between these products, explore the tabs above and the filters on the left side of the page. These products feature gold or silver bands around their edges. 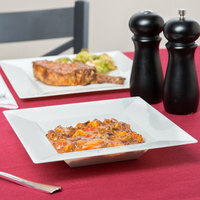 Coupe style dishes maximize serving space. 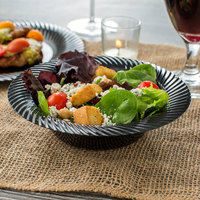 These bowls feature an attractive etched design. 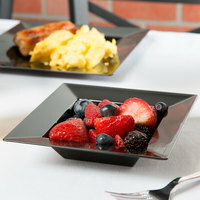 These bowls feature stylish scalloped edges. 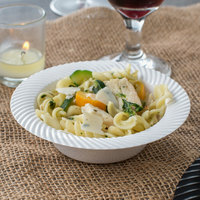 Standard bowls are perfect for everyday medium duty usage. 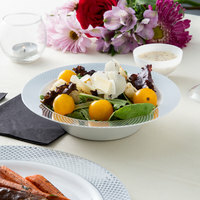 These bowls offer wavy edges for a contemporary look. 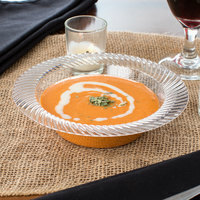 Bowls with a wide rim help you frame each dish. 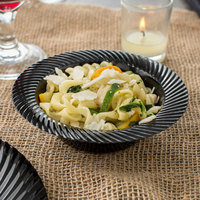 Oval disposable plastic bowls are perfect for serving appetizers, sides, and desserts. 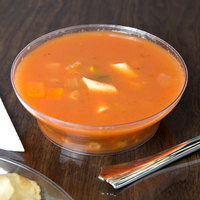 Round bowls come in several different sizes and are great for serving soup, salads, and desserts. 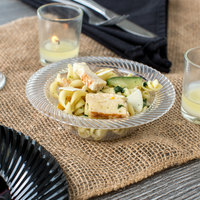 Square bowls are an upscale option for high-end events like weddings or business meetings. 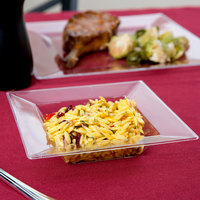 These plastic bowls have the convenience of disposability without sacrificing presentation. 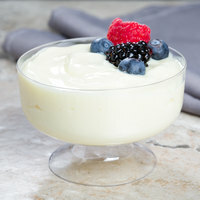 Many options are made to resemble actual glass or china but without the risk and fear of breakage! In fact, these disposable bowls feature shatter- and crack-resistant constructions that will withstand even the most rigorous environments. They can even be dropped without shattering into dangerous shards. 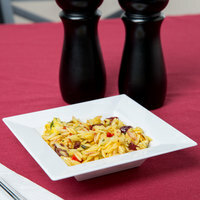 For more great disposable products for your next event, check out our skewers, plastic flatware, and paper napkins. 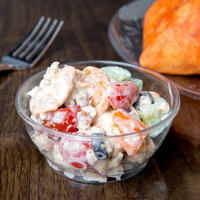 If you're wondering where to buy disposable plastic bowls, we have a large selection of disposable plastic bowls for sale at the lowest prices.